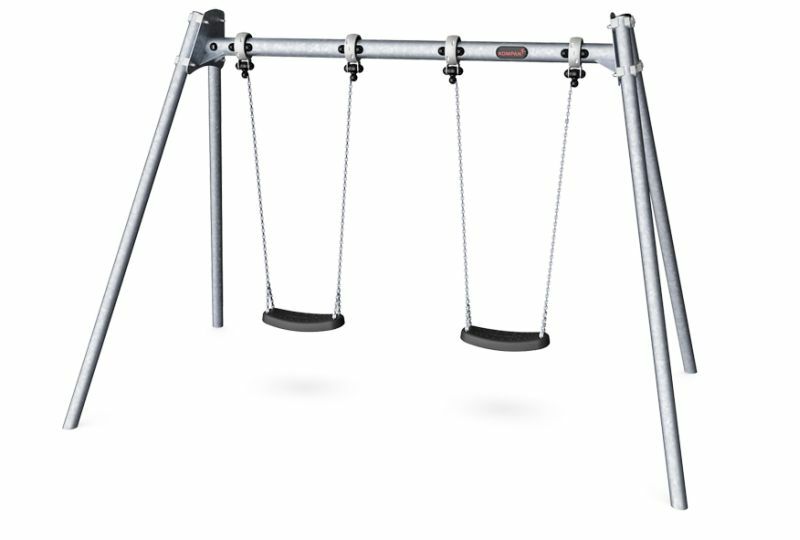 KOMPAN swings can be configured to adapt individual needs & demands. 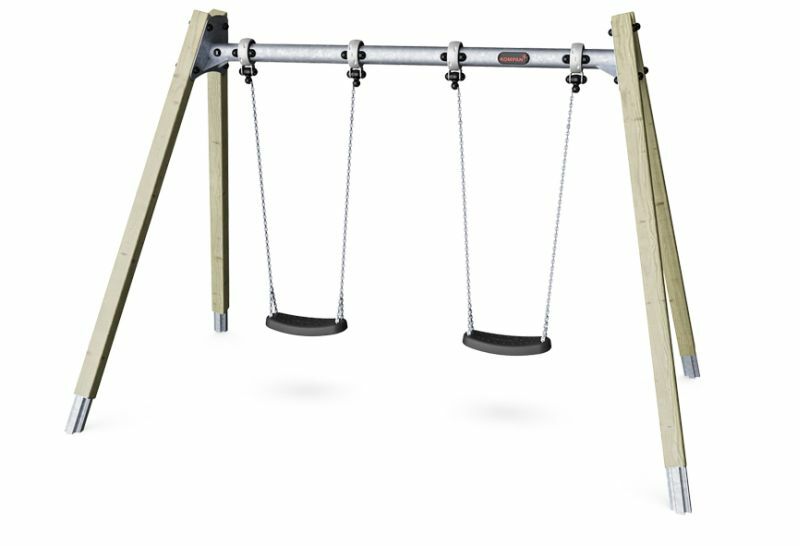 All A-Frame swings are available in 2,0m and 2,5m height with posts of impregnated pine wood, hardwood or hot dip galvanized steel. 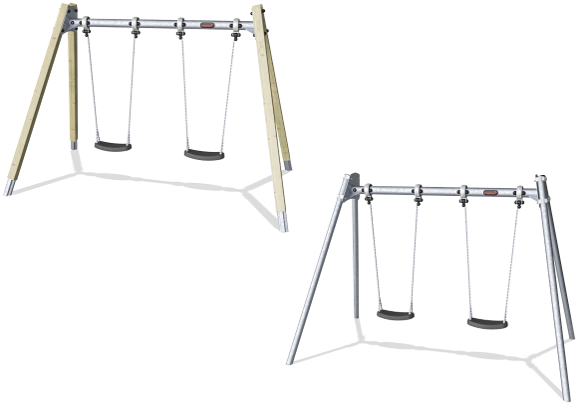 As seats we offer standard swing seat, cradle seat, toddler seat or bird nests with a diameter of ø100cm or 120cm. 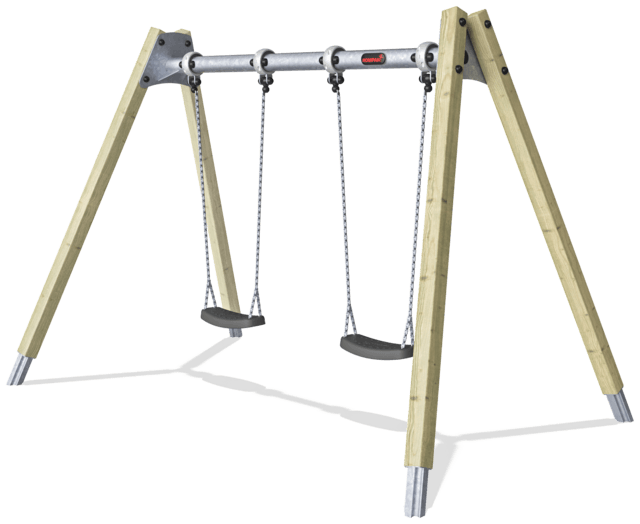 Further the seats are available with either hot dip galvanized chains or stainless steel chains and if preferred with antiwrap suspensions. 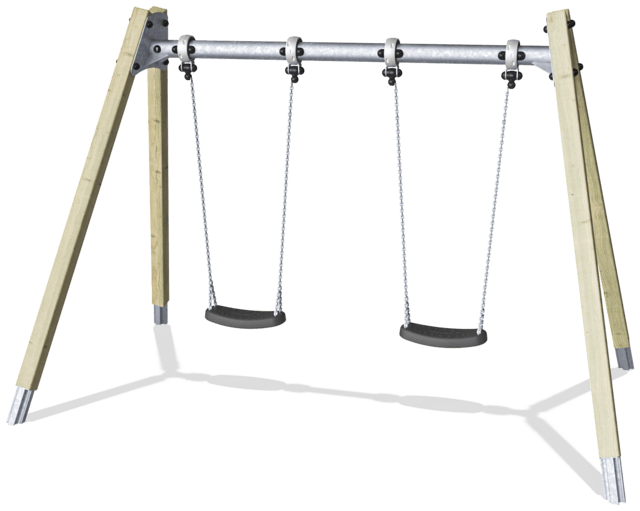 The modular swing system also enable multibay configurations with 2,3,4 or more sections.